We’d love your help. 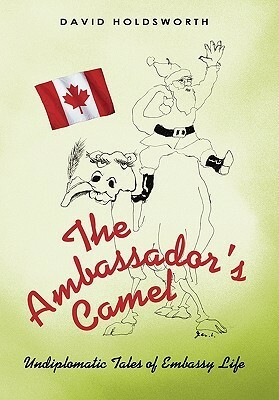 Let us know what’s wrong with this preview of The Ambassador's Camel by David Holdsworth. When politics and policy clash, politics always win. And in this case, senior diplomat Percy Williamson loses. At odds with Canada's new Minister of Foreign Affairs, George Crowley, Percy draws an overseas assignment as ambassador to Bharalya, a small country in Asia that recently discovered a big cache of oil. When Percy and his wife Marilyn arrive in Bharalya they are qui When politics and policy clash, politics always win. And in this case, senior diplomat Percy Williamson loses. 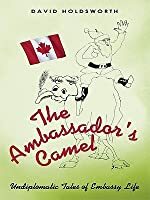 At odds with Canada's new Minister of Foreign Affairs, George Crowley, Percy draws an overseas assignment as ambassador to Bharalya, a small country in Asia that recently discovered a big cache of oil. When Percy and his wife Marilyn arrive in Bharalya they are quite unprepared for the bizarre experiences they will share and the eccentric people they will meet. There's the king who's addicted to collecting medals from foreign governments, a junior diplomat who impersonates his own foreign minister, a visiting minister caught by the press in a brothel, and a travel-averse diplomat reduced to jelly by his one and only trip outside the capital. To ask other readers questions about The Ambassador's Camel, please sign up.